Following on from my post about the cost of getting to the provinces beaches, I note with approval that the Ministry of the Environment has opened an investigation into the chap who’s charging 7€ a pop to motorists who want to cross his land to get to San Pedro beach in Cabo de Gata. No, wait, they’re investigating him for fixing the road. The Minister for the Environment said that “any work carried out in the natural park requires permissions and must be subject to the rules and plans of the park”. Daniel Navarro, the owner of the land, rejects the investigation, saying that he was simply repairing a pre-existing road, which does not need permission, that he did it in the correct fashion, and that he informed Seprona (the environmental police) before doing the work. He added that there were far worse cases of environmental abuse in the Cabo de Gata natural park area for the Ministry to worry about, than just him fixing his road. I also note that so far this year 400 people have been treated in Almería for severe jellyfish stings. The sea’s a deathtrap people, don’t go in it! Alternatively, stop choking, poisoning or banging on the head all the sea turtles, and these gentle giants will eat all the jellyfish. 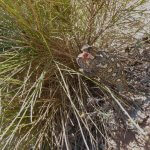 This entry was posted in Blog and tagged cabo de gata, natural park by David. Bookmark the permalink.